The streaming TV service would be slimmed down to about 25 channels from major networks, according to WSJ, effectively eliminating much of the extraneous channel offerings on general cable and satellite packages. Disney, Fox, CBS, and ESPN are said to potentially be included in the streaming package. The New York Times suggests the streaming TV service could be announced later in the year. The Wall Street Journal offers more specifics, saying the service could be announced in June for a launch in September. The streaming video would be available on all hardware from Apple, including Apple TV, iPhone, and iPad. While there’s no mention of the Mac, presumably Mac users would also have access to the service. The service, which could be announced later this year, would offer a bundle of channels that is smaller and cheaper than the bloated catalog of offerings in a typical cable subscription, said these people, who asked not to be named because the conversations were confidential and not completed. The plan would potentially offer networks owned by the television groups Disney, Fox, CBS and Discovery, the people said Tuesday. That could include the broadcast networks ABC, CBS and Fox, along with a lineup of other cable networks, such as ESPN and Discovery Channel. Both the New York Times and The Wall Street Journal suggest the price point could be between $25 to $40 per month. 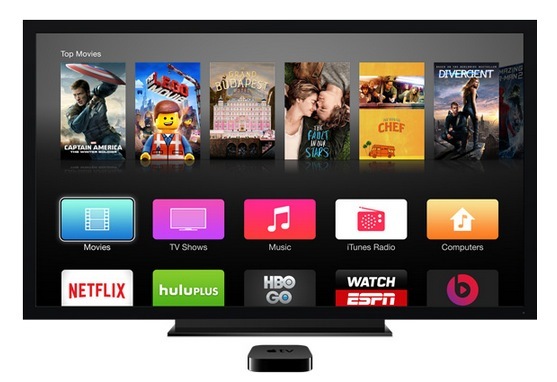 Currently, Apple offers various streaming video services, movies, and TV shows through iTunes and Apple TV. Just give me ESPN for sports and PBS for documentaries and news, that’s all there is worth watching. Perhaps HBO too, for movies and GOT, if you could bundle that in there. The bigger problem I see is that Comcast/Xfinity and presumably others are tying your internet package to your cable TV package. Internet service alone is $50+/month and they bundle in the crapTV for another $10 or $20 for basic, or some wild $100/month for the whole manger of junkTV that I don’t think a human would participate in. I suspect if Apple did this, the cable internet providers would respond by raising internet prices, so your bill wouldn’t be any lower. Oh and remember that Apple TV is $69 now. But I don’t see a purpose for it at any price. Never known someone to use one either, maybe we’re a bunch of squares. I use it daily…It’s 90% responsible for my viewing content. The only thing I find ridiculous about Apple TV and likely other devices alike, having to log in with your cable info makes it redundant. How, HOW can you actually cut the cord with this stipulation? Its to verify you are paying for the services so that way they can grant access to HBO go and other apps. My family cut the cord about 4 years ago and have been streaming Netflix and others since then. Our kids certainly ask us less often to buy crap that they will play with once and never touch again. We never bought an Apple TV, because the hardware was always old compared to the competition and they’ve never made their platform widely available so a number of popular content providers were not supported by Apple TV. Bundling doesn’t make any sense to me. It is simply the cable company model through a third party. With Apple bundling there would now be 3 companies skimming money in the process: Apple, the ISP/cable company and the content providers like ESPN. The cable company can always undercut Apple’s deal by offering the same bundle for less money. When will the content providers, TV networks and studios, realize they don’t need to bundle with a 3rd party. They can sell direct to consumers via any smart TV, Roku, Amazon Fire, internet connected blue ray player or game console. I suspect the reason that the TV networks are so tepid is their real business is selling commercials and not content viewers want to watch. The studios are afraid of piracy and undercutting advertisers. This sounds almost like a monthly all-you-can-eat iTunes system. Instead of having to buy each episode for $2.99 or whatever (a total ripoff, btw) you can just click “play” if you’ve paid your monthly premium. The big detail waiting to be seen is whether or not everything will be live. For example, can you watch a College Football game on ESPN via AppleTV live as it happens? Or only next-day? I don’t mind after-the-fact programming, but I imagine many people subscribe to cable just for this reason. There’s also a persistent problem about packages both on cable and on internet. Any “package” is bound to include something that users don’t want. Unless it’s true a la carte, for example a tier where you can get 10 channels and another where you get 20 channels, it’s still just another mechanism for the same crap. For the record, I’d rather have BBC or the DIY Network than ESPN, for example. Oh, and what about commercials? I didn’t buy this shiny MacBook Pro just to sit through more Hot Pockets ads. Probably like Hulu with the ads, is my guess. You pay a subscription, get a few ads, but not nearly the inundation you get with standard TV. But think about it this way, you pay cable TV $150/month to get ads. LOL. We are getting screwed! We don’t have cable anymore for that exact reason. I get what I need from, um, the internet. Live college football games are exactly what I’m interested in, it’s the only reason I have cable TV at all anymore. Everything else I can get from bunny ears (lol!) or the internet, but essentially I have to pay another $70/month for a sports package to watch football for 4 months of the year on just a handful of channels. I hope Apple pulls this off. For college ball they’d need CBS, ABC, FOX, ESPN, etc, all live. I’d jump ship for $30/month, absolutely. Apple is being way too cheap with this. I am so used to over paying for everything Apple, I just wouldn’t feel right getting 25 channels for $40.00. Getting 10 channels for say $125.00 monthly is much more Appleesque. Apple, make me feel like I am getting bent over and sodomized on this like you do everything else, or I’m not buying. Pay $40/month for the TV service, but use your $17,000 Apple Watch to change channels. Problem solved? My brother cut the cord a few years ago. Now he comes to my house to watch live tv. I don’t have a problem with people touting the benefits of cutting the cord as long as they aren’t getting their live tv fix on someone else’s dime. You should charge your freeloading brother a usage tax and couch fee for mooching off your Live TV dime. I bet he’s a liberal and you’re a conservative. He votes to raise your taxes, and you vote to cut his benefits (and your own) just out of spite. A regular Limbaugh family Christmas. OK Now, surely this Apple TV service would be live TV for live events like sports, but streamed broadcast for shows that don’t matter, right? How about a package that looks like this: $40 for 10/12 channels. You pick the channels AND you can change those channels at any time for seasonal series/sports/special events. To appease the networks, implement restrictions on how often you can change those channels. I’ll believe that part about Macs being able to use it when I see it. In my experience, Tim Cook hates Macs and wants to eliminate them in favor of IOS devices. I can’t even use AirPlay with my Mac Pro, because Apple says I might be disappointed in the result. It’s a dual 2.8ghz 8 core, 8 gigs ram, and a 512mb video card. It can run 6 YouTube videos at one time from one card and can run 8 monitors with extra cards. I think that it just might be able to handle a little video streaming. I can also decide if it works well enough without Nanny Cook getting in my business. I look forward to Apple without him.